Besides sleeping, reading, blowing my nose, and making requests for glasses of water from my family, my main occupation when down with the flu is watching movies. I was ill last week and actually enjoyed the chance to gear down to the minimum speed required to do not much of anything for a few days. I haven't had that kind of break for quite a while. A couple of evenings ago, feeling fairly recovered, but still in movie mode I disappeared downstairs to my bedroom to watch a film I saw years ago, but always wanted to watch again. 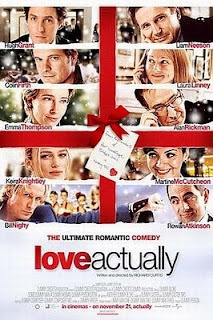 Love Actually is one of those films that is actually several short films, shown in pieces, and all on the theme of love during the weeks leading up to Christmas in London (yes, I'm aware it is still June). It is chock-a-block full of fantastic actors and genuinely funny and/or hearwrenching scenes of what one of the young characters calls 'the total agony of love'. I thoroughly enjoyed this re-viewing while various family members watched Indiana Jones do his thing upstairs on the bigger tv. This morning, I started thinking about movies and books on the theme of love, and wondered why the human race continues to love stories about love. We root for love to conquer all, for the characters who can't seem to get past their first impressions to finally figure things out, or for the true colours of the romantic underdog to be revealed to the heroine. When love triumphs, we celebrate, and when love is taken over by less honorable states of mind, we sorrow. I think that love is such a universal thing that when it wins we feel like we win also. Sometimes, it is really the only thing we get right on this earth, and as the narrator says at the beginning of the movie, love actually is all around us. Then again, so is fear and foolishness. Just as most of us triumph in love to some degree, most of us falter in fear or foolishness to some degree. I thought I was ready to face a shopping trip to the city yesterday, only I wasn't. I was still very tired and a bit foggy with my cold-in-the-head but the fridge was nearly empty and I had supplies to buy for my upcoming event. My daughter, Emma and I set off in the mid-morning to face the summer traffic. Even as I pulled into the parking lot of my first stop, I knew I should not have attempted the shopping, but I gave myself a pep talk and off we went. After one mall, we had to drive to another, and after that to the office supply store. I pulled into the turning lane in the worst intersection in this particular suburban city. I looked all around and then focussed my energies on timing my entry into the turn. I was just starting to pull slowly into the turn, looking mainly to the left into the oncoming traffic when I felt a rubbing sensation on the front bumper. I looked up and there he was, a young teenager on a bike, wearing a baseball cap and the everpresent earphones of that agegroup. I put on the brakes and within seconds the lad was free of my bumper (his pedal was stuck in the hole I found later that he had punctured in my bumper) and riding off across the intersection. He wasn't injured, hadn't been knocked off his bike at all. He didn't even look back. I, on the other hand made a tight turn into a fast food restaurant parking lot, lept out of the car and started making my way toward him to make sure he was okay (and perhaps to lecture him on the foolishness of jumping out in front of cars in the middle of the turning lane of a busy intersection) but it was too late. He was gone. I got back into my car, and tried to collect myself, wondering how such a thing could have happened. I asked my daughter to tell me what she saw. "Well, Mom, all I saw was this kid playing with his ipod on the curb - then he jumped right in front of you without even looking." "Was it my fault at all?" I asked. "If you had twelve eyes, it might have been your fault," she said with typical Emma practicality. I was not convinced, in typical Rebecca self-doubt. By the time we got to the office supply store I was feeling my shock and started to cry a little. Scenes of what 'might have happened' were filling my head. What if I had been going faster? What if the boy had been knocked off his bike and sent flying onto his un-helmeted head? What if his parents sued me? What if my license were taken away? What was I doing driving anyway - I was obviously a terrible driver to have let this kind of thing happen. The fact that the boy was not at all visibly shaken by what had occurred, however, enabled me to keep my nerves at bay enough to finish my shopping and get home as quickly as possible. I found myself telling my tale to five or six people over the course of the day, and I found much comfort in the fact that they all had a similar story to tell. At least two friends admitted they felt they were taking their life in their hands every time they attempted a journey into traffic. One friend even said what I have often thought myself (thinking I was the only one), that more than once, when back home after a trip to the city she had sunk into a chair gratefully saying to herself, "I made it home one more day." The truth is, none of us has control over everything that goes on around us, even when we are being as careful and aware as we possibly can. Yesterday, that fact scared the heck out of me. I felt like I never wanted to get behind the wheel again. This morning, however, after a decent night's sleep, and the encouragement I found in sharing stories with others, I was okay with driving, just a little more aware of the tenuous nature of life. I'm not sure what is causing it, but I am feeling a little out of wack these days. It's as if I, and the world around me are on slightly different planes. Changes are coming at me fast and furious, but I'm not quite sure I'm up to facing them at the moment. Granted, the end of June is always a crazy, exhausting time in the family lives of most people I know. Everything one's child has been involved in all year - school, music lessons, sports teams, etc. - is winding down with one recital, ceremony or tournament after another. My teenagers finished with their classes last Wednesday and only have a few exams to cope with before they are free for our two month Canadian summer holidays. My youngest has another week of school and then she, too is done for the year. This month has been a whirl of activity for all of us and in the middle of baking for receptions, ironing performance outfits, and attending thank-you teas, I am engaged in the final push of a five month contract with our local summer arts festival. I coordinate a day of entertainment, art activities and fun for approximately five hundred attendees, and have done so for the past five years. Details and mental to-do lists wake me up in the middle of the night and must be accomplished, squeezed in somehow between all the other activities of June. But it is more than just the Junishness of June that causes my sense that the world is, in the words of Madeline L'engle, a 'swiftly tilting planet'. Technology seems to be advancing at the speed of light, rather than the speed of most humans. I was speaking with a woman I know who manages a local video store. She said, with the way movies were being downloaded she would be surprised if her store were still here in five years. I would be too, the way things are going - I know people who download movies before they are even out on DVD. And recently, a friend of mine arrived at the coffee shop with his new ipad. I admired his sleek new toy and asked what he would be using it for. He said he would be using it mainly for reading books and documents. It does have a beautiful screen with such clear definition, but still, I told him, I prefer to read off paper, especially when my head is resting on my pillow. Call me old fashioned - I couldn't help thinking about the amount of actual books I could buy for the seven hundred dollars he paid for his ipad. His argument was that he had access to thousands of titles at the touch of a screen. My daughter's elementary school has now abolished their traditional graduation/awards ceremony. This year, for the first time, it will be called an honoring ceremony. Each grade six student (the graduates) will be featured and honored for their contribution to the school and their special skill or gift. When asked if he had received any flack from parents for this decision, the school principal said, 'only from parents who received awards when they were students and want the same for their children,' or something like that. I think I am one of those parents, although I did not give him any flack. I think his idea of honoring each child before they leave the school forever is quite a nice idea instead of the usual 'best athlete' or 'top student' only. Still, it makes my head spin to think of it. To me, this change symbolizes the fact that schools have become so much more than just places to learn the three r's (reading, writing, and 'rithmatic). For some children, school is where they learn to get along with others, to exhibit self-control, to share, to eat properly, and other basics many of us take for granted as learnt in the home. My family is aging rapidly. My eldest will graduate from high school next year, and his brother the year after. My youngest will be a 'tween' next fall and my hair is showing a healthy allotment of 'salt' amongst its 'pepper'. I am taking on new roles and shedding others. People are starting to ask me what I'm going to 'do' with my life. My kids and I pitched in to buy my husband a green ipod for a combination birthday/Father's Day gift. He loves it and named it 'Flash Jackson'. My husband never named gadgets before yesterday. 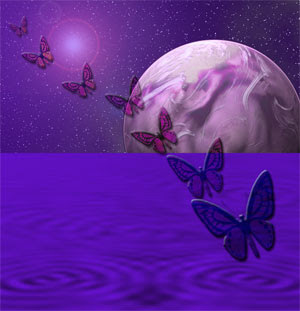 Before I embrace all these changes like a fresh new butterfly, please excuse me while I hide in my cocoon for a while. Like every other slow crawling caterpillar I need time to adjust to the concept of flight. My second son is going to be taking his grade 8 Royal Conservatory violin exam today. He doesn't seem to be very nervous about it, and believe me, when this kid is anxious about something EVERYBODY knows. He has been preparing for the exam all year long with the help of his violin teacher, David. David is a very calm, soft-spoken, encouraging guy with a good sense of humour and he is exactly the type of teacher to help prepare my son for his half hour in the 'hot seat'. My son is looking forward to getting the exam over with so he can finally learn some new music and take a break from all that technique: the double stops, the memorized list of scales, the studies. I would be nervous for my son but for the fact that I have seen him perform so many times over the eight years he has been playing the violin; I am more anxious that we cross our t's and dot our lower case j's in the paperwork end of things, as the Conservatory has rather strict and uncompromising requirements. I remember a time when I would practically hold my breath through his entire performance, feeling every note, cringing at every little mistake, and then finally relaxing when it was over. Those days are basically over - he's quite a pro now, and though I have never been too much of a 'stage mother,' I did have to back off a few years ago and let him discover for himself why he was carrying on with such a difficult instrument. He has fallen in love with classical music and with the challenge of his relentlessly responsive instrument and that is why he carries on so independently now. He's already been hired to play at two weddings this summer, and is consistenly requested to play at varous functions. Unlike his mother, my son has always been very comfortable performing before a crowd - nothing really phases him, except if at a music festival he decides that the adjudicating was unfair. I took piano lessons until I was fifteen, and in my last year of piano I participated in the local music festival. My piece was very difficult and I couldn't get it right, no matter how hard I practiced. On the day of the festival, thirteen young pianists assembled on the front pew of the Nelson United Church. The lights were dim, except for on the stage, and at the desk of the adjudicators, making them look like pale distant ghosts owning only heads and pen-holding hands. I was extrememly nervous but glad to be in the middle of the pack, not at the front. Sitting next to me was a boy I had never seen before. He had long, blonde hair, and wore an Iron Maiden t-shirt, and jeans. I remember thinking to myself as he approached the bench when they called his name, "Oh THIS should be interesting." I fully expected to hear a less than stellar performance, maybe a laboured rendition of that Leila Fletcher classic 'My Little Birch Canoe', or at best, a choppy interpretation of Beethoven's 'Fur Elise'. I don't remember what he played, maybe Chopin, maybe Rachmaninoff, but it was quite a shock to see and hear this headbanger blast his way through his challenging piece with such skill and confidence. I was dumbfounded, and after the thunderous applause died down, I was next. As I rose to go up to the stage I could hear people whispering about the long haired pianist. "Who is he?" "Where is he from?" Then I heard someone say, "He's _____ from the Slocan Valley. His family is so talented." I was really nervous now, rattled actually. My pre-conceived notions had just been turned upside down. How could I possibly follow that rocker's performance? I climbed the steps to the stage and sat down on the bench. I started to play. I stopped after a few bars and started again. I stopped again, and started again. I screwed up so badly the adjudicators took pity on me and allowed me to get my music, even though we were supposed to have memorized our pieces. I got through my nasty piece somehow and with a limping heart and downcast eyes I returned to my seat. Mortified, and afraid to look at my mom and sister in the audience, let alone at the blonde piano star beside me, I kept my gaze downward. Quietly, from beside me, Rocker Valley Boy spoke. "Hey, that was pretty good," he said. "No it wasn't, and you know it, " I managed to whisper. He turned to look at me. I finally looked up at him, barely meeting his eyes. "Yeah, it was," he said, smiling encouragingly. "Don't worry about it." I was immediately cheered by his friendly and generous words. I could breathe again. He wasn't lying either, so I couldn't accuse him of mere flattery; later, the adjudicator even praised the bits between the screw ups. That doesn't mean I ever attempted a competitive music festival again, but I did begin to look at boys in a whole new way - so all was not lost. The photo is of my son playing for family in my parents' living room at our reunion last summer. "(Floating) down the river, your hand in mine"
Perhaps it was the bright promise of a sunny day waking me up this morning at 5 a.m. after so many gloomy, soggy mornings of rain, which made me think of this time of the spring, eighteen years ago. Or maybe it is due to the fact that my husband and I pulled out the map of British Columbia and Alberta to plan the routes we would take for our trip to see family in July. Either way, by 6 a.m. I was recalling with great fondness that first picture postcard summer of our adventure as a married couple. My husband, half way through his studies in Outdoor Recreation at Capilano University in Vancouver, was offered a summer job as a river rafting guide with an outfit at Panorama Resort near the quaint and beautiful East Kootenay town of Invermere. Panorama is essentially a ski resort, but in a bid to be viable year round, offered reasons to visit in the off-season, too: great mountain bike trails, a swimming pool and tennis courts, and river-rafting on the rapids of the small and mighty Toby creek. A few days after our wedding in my hometown of Nelson, my husband and I filled our Toyota hatchback with the necessities of life and off we went amid cries of 'Good Luck!' and 'Let us know how it goes!' from family and friends. Previous to our move to Panorama, I had been in touch with the good folks at Pinelogs Cultural Center, a converted historical log estate on the shores of Lake Windemere, and had been promised a job at the center. Upon our arrival, and after several phone calls, it became clear that, funding being what it was, my job would be a volunteer position. Pinelogs was at least a twenty minute drive down the mountain from Panorama, and often longer due to cattle on the road stalling the traffic with almost zero response to the blaring horns and shouts of drivers. As a newlywed with a husband returning to college in the fall, I could not afford to volunteer when it would cost me gas money, so after a short time of wondering what to do I fell back on my food service experience and applied for a seating host position in the Toby Creek Lodge Restaurant. I got the j with an introduction from the manager to the staff of, "And this one's got a brain in her head, so don't mess around". An auspicious beginning. Fortunately, my husband and I were given staff accomodation in one of the condominiums at the resort so our living expenses were little. We shared the condo with two other rafting guides - Derek, a friendly and very handsome young classmate of my husband's, and Finn, an Australian with a love for The Bottle and a rather surly disposition much of the time. He was the rafting crew leader, however, and it was important to keep on his good side. He was sometimes a benevolent roommate, and I remember his cauliflower cheese pie and his barbecued leg of lamb very well. So, my summer, besides keeping house with three men consisted of lounging by the pool - I remember reading The Razor's Edge by Somerset Maughm - cycling or going for drives on the dirt roads up behind the resort, throwing meals together with little talent in the kitchen as of yet, cheering at the TV during The French Open and Wimbledon tennis tournaments with the boys, attempting to play tennis with my sporty new husband, and seating guests (and clowning around with waiters) in the restaurant in the evenings. One night, early on in my hostess carreer and after the restaurant was closed, I sat down to the grand piano by the bar where the wait-staff were counting their tips and calculating my share. I began to play 'Fur Elise' by Beethoven, which I had known by heart for years. The staff must have enjoyed my music, for after that they told me if I played for them every night they would increase my share of the tips. It became a very satisfactory arrangement, as we paid all our expenses with the extra money and saved our paychecks for the coming year back in Vancouver. One of the great bonuses of my husband working as a raft guide for that company, was the 'free' trip for both of us, which we rather optomistically gave the name of 'honeymoon,' rafting for a week on the Tatshenshini and Alsek Rivers in the Yukon Territory, to take place in the latter part of June. Clients payed $2600.00 each for a guided trip down those rivers, plus their air fare and accomodation in Whitehorse before and after the trip. We only had to get ourselves to and from Whitehorse, which we did in our car, driving twelve hours a day for three days through some of the wildest, most beautiful country I have ever seen. Wildlife appeared by the roadsides at regular intervals - grizzly bears, moose, deer, black bears, birds of prey, etc. We had been given the loan of a good 35 mm camera, bought several rolls of film and took along our little point-and-shoot for backup. After a day or two of sightseeing in Whitehorse - a city of approximately 15,000 people and with, I counted, 28 bars - the voyage down the rivers began at Haines Junction. The two guides of the two large rafts pointed out the river being twice its normal volume, telling us the first leg of the trip would be a quick one. We geared up in personal floatation devices, warm, waterproof clothing, and helmets. Everyone was given a paddle and directions in the vein of 'do what you're told if you want to survive'. The large rubber rafts, holding seven people each, rocketed along on the swollen river, and when we came to some narrows held in by sharp, rocky cliffs, it took everyone's work to keep the rafts on course. Our raft guide, Jim, kept us well away from the rocks and we got through the narrows just fine. Not so for the other boat, which bounced off a sharp rock on the cliff and gained a puncture in it's sidewall for its trouble. My husband spent the rest of our 'free' honeymoon rising each of the six days at dawn to pump up the punctured boat that had been slowly, sadly, deflating during the night. Interestingly, many of the participants on the trip were over sixty-five. One, a retired teacher and former mountain climber named Gertrude, was eighty-two. All of the retirees, (except the coiffed lady in the high-heeled rubber boots) hated people fussing over them, but all welcomed my, and my husband's help in setting up their tents and making camp each day. Luckily for us all, the weather was basically cooperative, and after that first day in the rapids, our trip consisted of calm days of floating downstream in our rafts, enjoying the opportunity to get to know each other, learning about the flora and fauna from Sid, our knowledgeable naturalist who was brought along for his expertise, and paddling when necessary. We spent our evenings around a campfire, after an excellent dinner (the food was almost the best part of the trip, and being mainly cooked over a fire was generally given the adjectives 'Cajun' or 'blackened' when served with a grin by our fearless leader Jim), talking about the day's grizzly, moose, and arctic tern sightings. Late in the trip we left the Tatshenshini River and joined the Alsek River, ending up at Alsek Lake. I will never forget the sight of that lake once the dense fog finally lifted in the morning. The beach, filled with clumps of unusual wild flowers gave way to a glassy blue lake with a backdrop of the Alsek Glacier. The lake was filled with huge, solid masses of blue icebergs which calved off the glacier at regular, crashing intervals. We paddled out to the icebergs, landing on one deemed fairly safe from tipping by our guides and the group's cameras were put to work. My husband took roll after roll of film at the lake and I, armed as it were with the point and shoot, took one roll. It was very good that I did, for after the trip was over and we were developing our film, it became evident that something had gone wrong in the borrowed camera - none of the pictures turned out, at all. The photos from the little camera turned out just fine, fortunately, although our entire collection consisted of only three rolls of photos from six absolutely glorious days of that once in a lifetime experience. Ah well, everybody knows that the best pictures are the ones we keep in our memories anyway. Since rivers lead ultimately to ocean, our trip ended at Dry Bay, Alaska, where we crawled out of our rafts, faces burnt and lips blistered by the reflected sun of six days on the water. We boarded Lady Lou, a reclaimed WWII bomber painted with Lady Lou herself high-kicking the Can-Can on its side. The interior of the plane was pretty basic, fitted like a bus, so I was astonished to be offered a drink and cookies by the well-dressed flight attendant who had to shout to be heard over the roaring engine and who exibited great skill at keeping her balance as the plane charged along with typically northern spirit. We soared over the mountains, retracing our route down the rivers, taking half an hour to return to the spot we left six days earlier. What a relief it was to shower and shampoo in the hotel room that two of the clients so kindly offered to share with us for our last night all together. We dined that evening in the nicest little restaurant - all relieved to be going home to our own beds and bathrooms, but full of the wonderful week's experience on the rivers. We talked and laughed like we'd known each other forever, but that is the way it is with people we might never see again. There was nothing to lose in bonding for a week, because what we took away was so much bigger than that. The people part is mixed up forever with the scenery, the small hardships of camping in the wild, and the animals we were so blessed to see - a multi sensory experience to add to the store of memories of a young, married couple like us. The same could be said about that entire summer of 1992. I never saw any of those people again, not Andy the waiter who was so much fun to work with, not Finn nor any of the others - though I did see Derek once at a college function several months later. Perhaps we will stop in Invermere this summer and show it to our kids. I'm certain it has changed - I know Panorama Resort has grown a lot. We have changed, too, of course - eighteen years, several moves and four children later. I remember, as a young girl, spending hours at my neighbour Molly's house, reading issues of Architectural Digest magazine and dreaming of one day, having a really beautiful home full of antiques and surrounded by a gorgeous garden. I imagined myself in a beautiful cashmere sweater set, saying witty, clever things to my doctor/lawyer/architect/ husband as we welcomed our guests to yet another fabulous yuppie cocktail party. None of these 'dreams' came true in my real life. Don't get me wrong, I still love pretty things and sometimes I even get the urge to paint a room but, I discovered along the way, just like my parents, that I had other priorities that involved reaching out to the world beyond the nest I had created for my family. When my children were small, as much as I loved them, I couldn't wait to get involved in my community. I looked forward to the day when I could organize fundraisers, join committees, help backstage at concerts, supervise school field trips, etc. etc. etc. Now that I am doing all of that, I wonder if I am wise to be doing quite so much of it - but I can't seem to help myself. I seem to be hard-wired that way (it's genetic). When I said as much to a friend over coffee he said, "I have a very good psychiatrist, you know." I have come to believe that we humans have a need to be useful to each other, and when we find a place where what we have to give is welcome, we become fulfilled and happy. This of course, is different for everyone. One person may find that living in a monastery and embracing a life of silence and prayer is their best way to serve humanity. Another person may find that being an artist and creating interpretations of the human condition that others may relate to as the best way to give. Yet another person may find that knocking on doors to canvass for various causes is their calling, and they're good at it. Everyone has something to give to the world, but finding it, and giving it a place of priority among life's other demands is the key. Lately, when I crawl into bed after a full day, I pick up the latest novel I am reading - The Guernsey Literary and Potato Peel Pie Society these days - read a chapter or two and then go to sleep looking forward to the next morning's cup of coffee and fresh perspective. 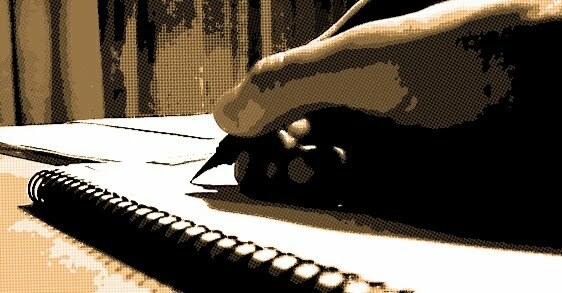 I know that whatever happens the next busy day, it just might be something to 'write home about'. And that is a very good feeling.